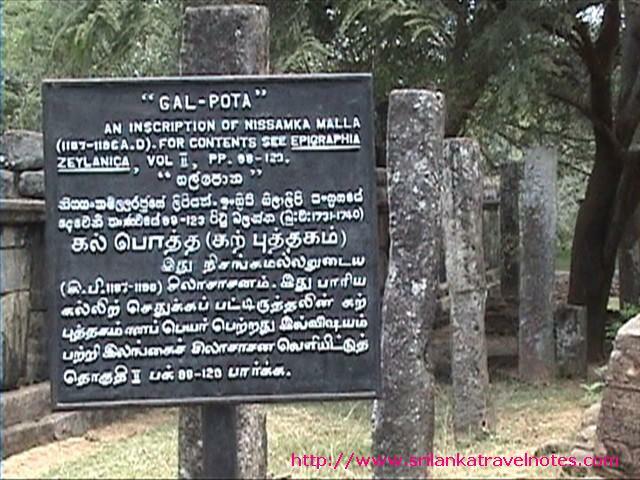 Polonnaruwa Gal Potha ( Stone Book) is a large stone inscription found next to the Sath Mahal Prasada. 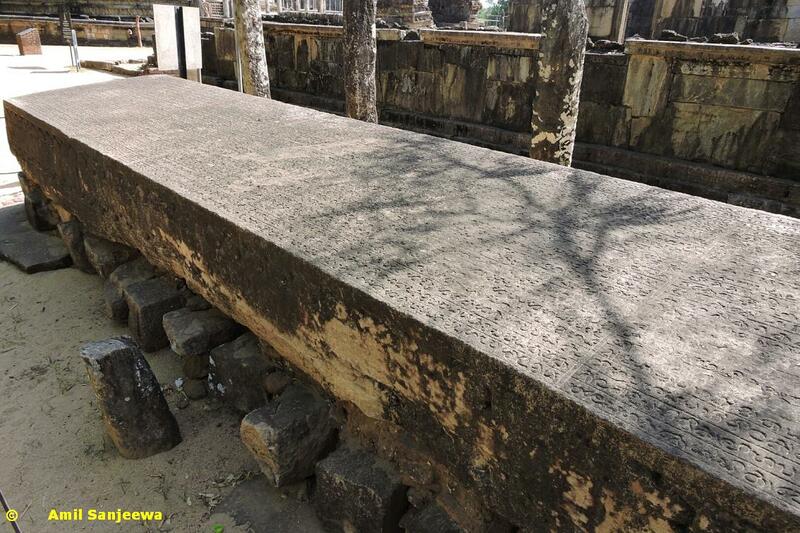 This Stone book is consists of three main sections a, 26 feet and 10 inch in length and 4 feet and 7 inch in width. 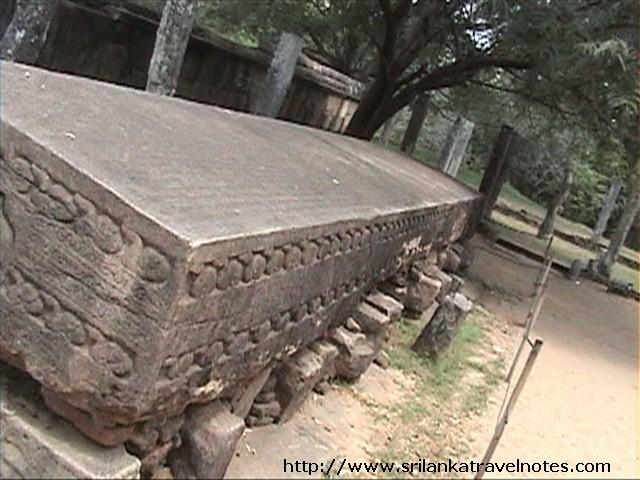 This was done during the time of king Nissankamalla, who ruled Sri Lanka during 1187-1196. The two lengthy sides Gal Potha is decorated with two rows of Swans(Hansa). In other two sides decorated with carving of god Lakshmi and two elephants are in both sides of her. 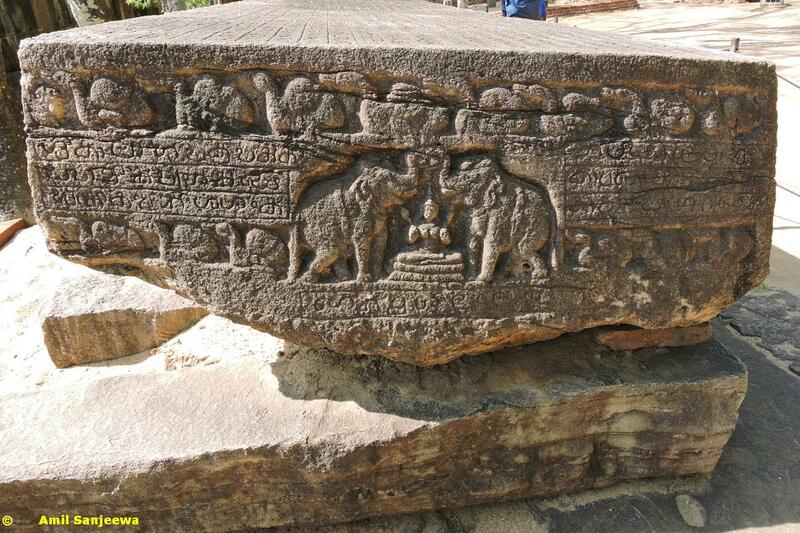 These carving is call "Gaja Lakshmi" and may have done due to Hindu influence in Polonnaruwa era. This carving depicts that god Lakshimi is holding two flowers and two elephants are pouring water to it. Totally there are 72 rows in three sections and more than 4500 characters. Those letters are belonging to 12th century Sinhalease characters. 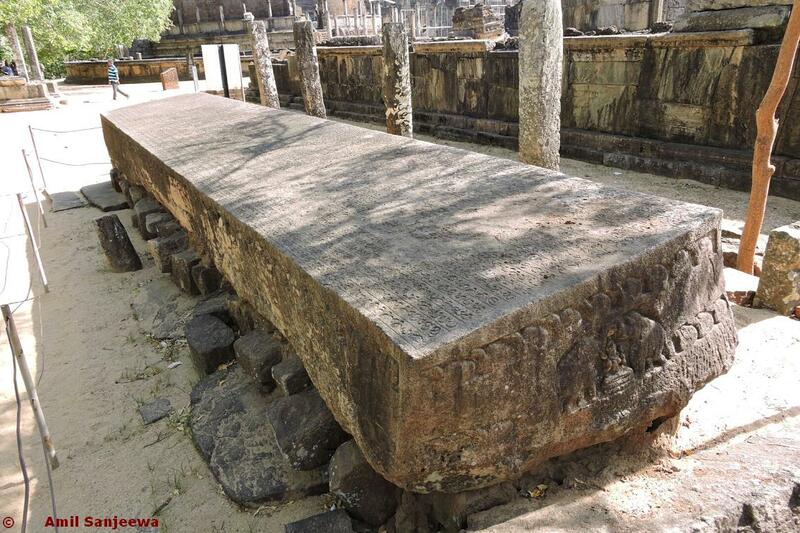 According to the information mention in the inscriptions, this was taken here from Mihinthalaya, which is around 50 km away from here. So there must be some sort of developed technology used to bring that from that far distance. 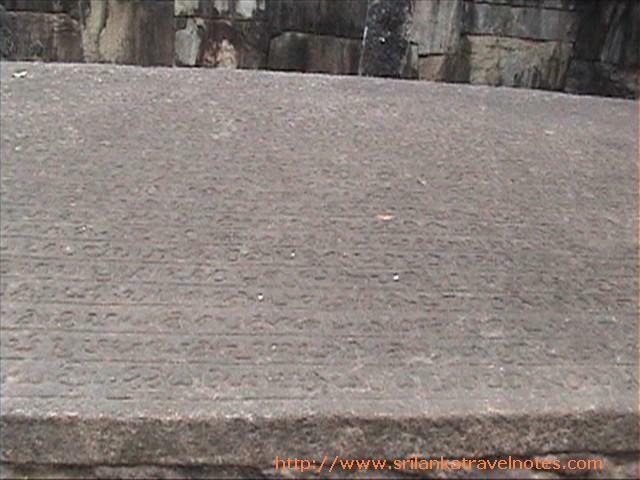 These inscriptions also mention about king Nisshanka Malla and the his contribution to develop the Poloinnaruwa kingdom. Its is believe that this Gal Pota was done during the last years of King Nissankamalla's time.